At Douglas INFINITI, we’re well aware that there are other things you would rather do than have your vehicle serviced. That’s why we always make it a point to get you in, out and back on the road in an efficient manner. Of course, sometimes you need that extra-fast service to be able to fit it into your busy schedule, and that’s where INFINITI Express Service in Summit, NJ comes in! The INFINITI Express Service is designed to deliver the same expert service in a time crunch. So, if you’ve been searching for a service that guarantees that you’ll be able to receive certain services in an hour or less, come visit Douglas INFINITI and experience the best service around the Summit-area! Despite the fact that your car will only be with our professional service team for an hour (tops), we still make sure to throw in a complimentary multi-point inspection. We want to make sure that you’re confident that you’ve received the best service possible! While we would love to take care of every single one of your auto-needs in an hour or less, there are occasions where more time may be required. In order to make sure we stand by our hour time limit, we include specific services in the INFINITI Express Service. 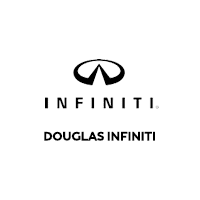 Our express service hours run Monday-Friday from 8:00 a.m. to 4:30 p.m. and also on Saturday from 8:00 a.m. to 3:00 p.m. Again, there is no appointment necessary to experience the incredible convenience of Douglas INFINITI’s Express Service. If there are any questions regarding the services provided at our dealership, feel free to contact a service consultant for details!